Here are my top 5 crystals for grounding. 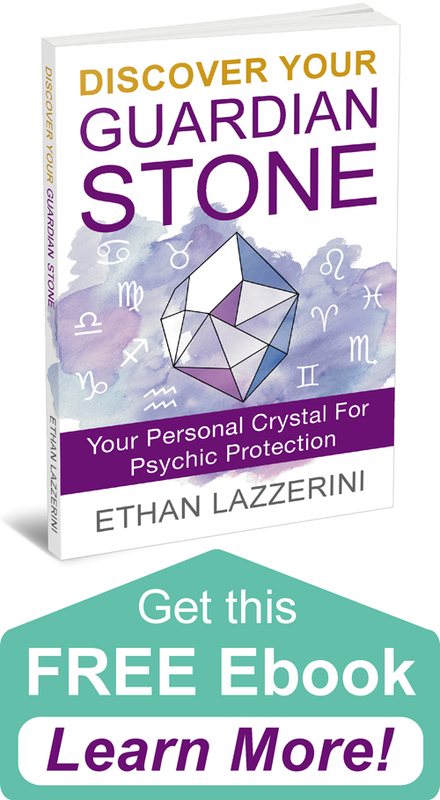 These grounding crystals and stones will help you stay connected to the Earth, your body and become more present. Learn how to use them with the powerful Tree of Life Grounding Meditation. Grounding is a common issue for some people, especially creatives and spiritual people. If you are regularly ungrounded yo can experience a number of problems such as feeling light headed, forgetfulness, clumsiness, lack of focus, feeling scattered, inaccurate intuition and even trouble manifesting. Grounding keeps your energy better connected to the Planet, your body and the physical World we live in. We each have an etheric cord of energy that connects us to the Planet, this cord goes into the centre of the Earth. When the grounding cord becomes weak we become ungrounded. This cord is connected to the Root Chakra, Earth Star Chakra and all our Lower Chakras. When these chakras become unbalanced we also become ungrounded. 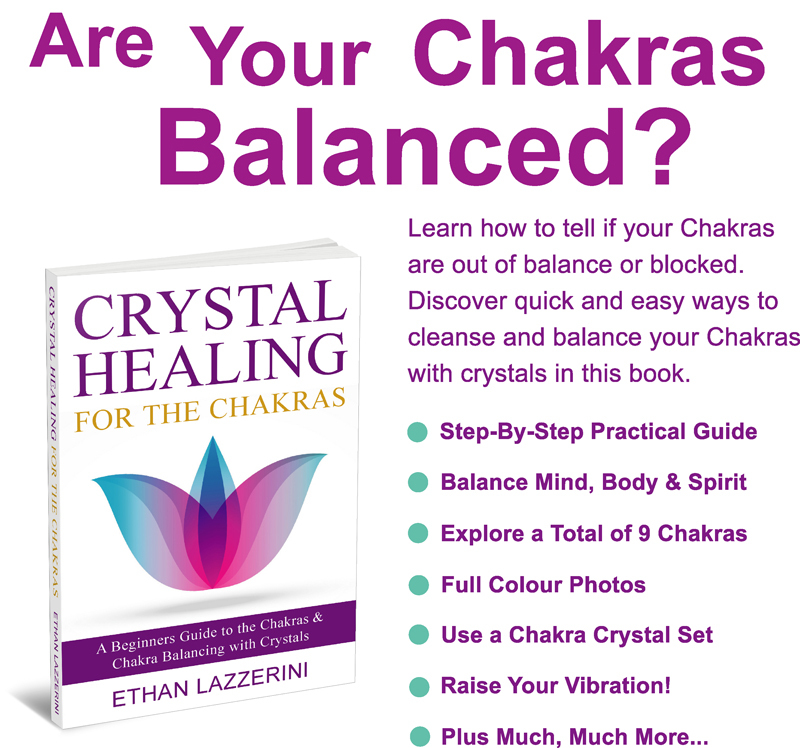 If you’re interested in learning more about your chakras check out my book Crystal Healing For The Chakras. 1. 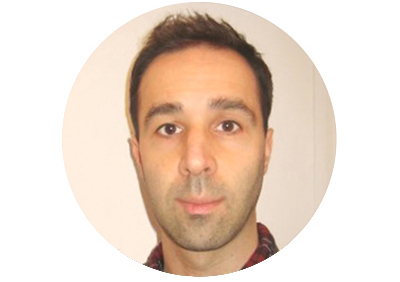 Sit down with your legs crossed or in a lotus position. If you need to use a chair, both feet must touch the ground. 2. Hold your chosen grounding crystal in your hands, close your eyes and take a few deep breaths. 3. Visualise yourself as a big strong tree like an Oak tree. 4. Send your roots down into the earth, deeper and deeper. 5. See them going through the layers of rock and crystals deep within the Earth. 6. See them reach the centre of the Earth where they wrap around a huge Iron core crystal. 7. Become aware of your body. Open your eyes and take a few moments before getting up again. 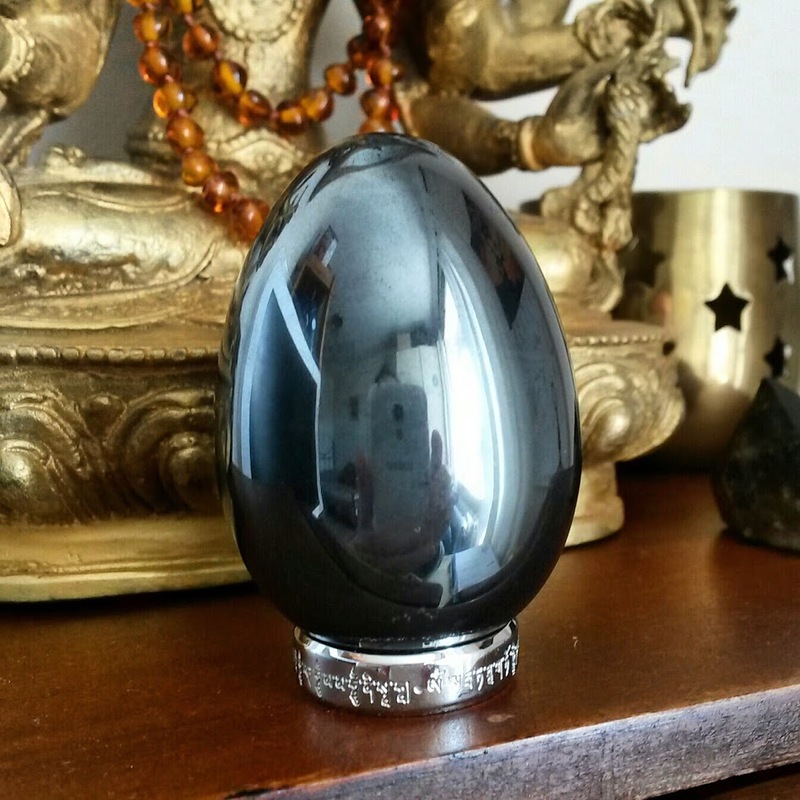 As well as being deeply grounding, Hematite is highly protective and strengthens the aura. 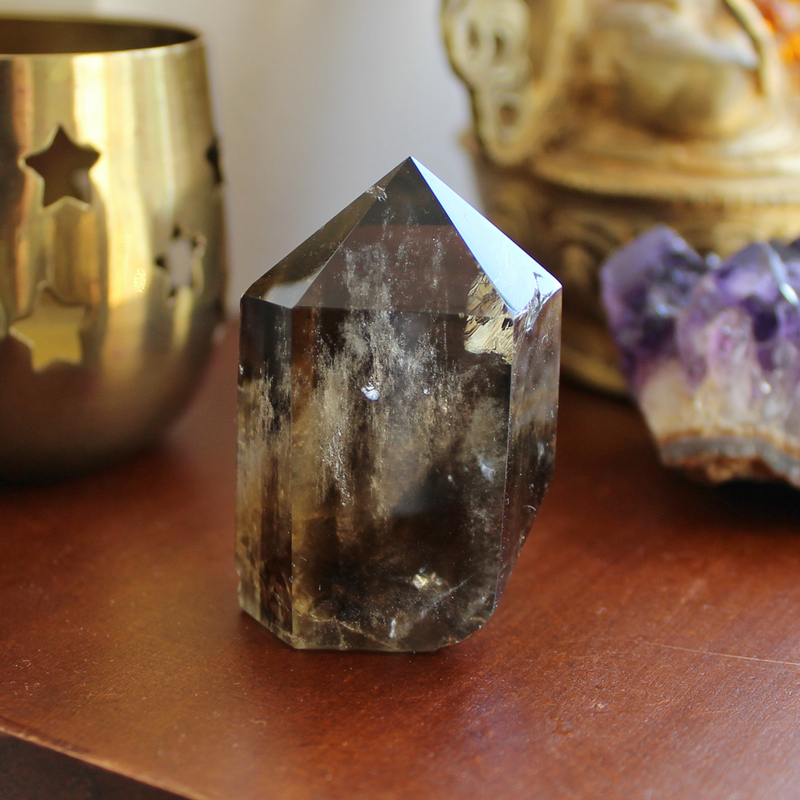 This black, grey or brown crystal connects with the Earth and absorbs negative energies really well. A good one for the Root Chakra. 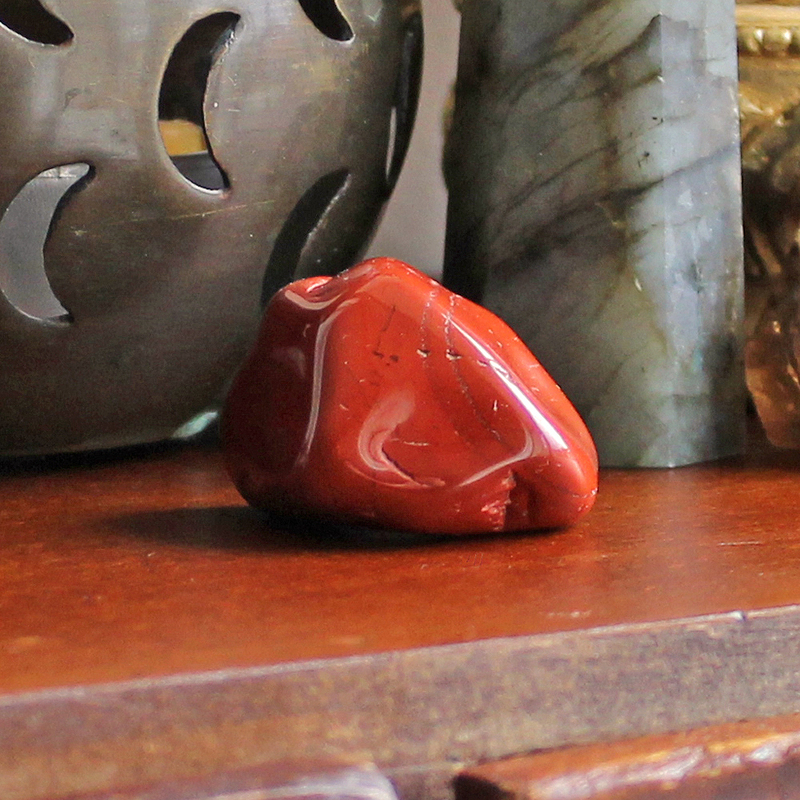 A great earthy stone to work with if others are too strong for you. 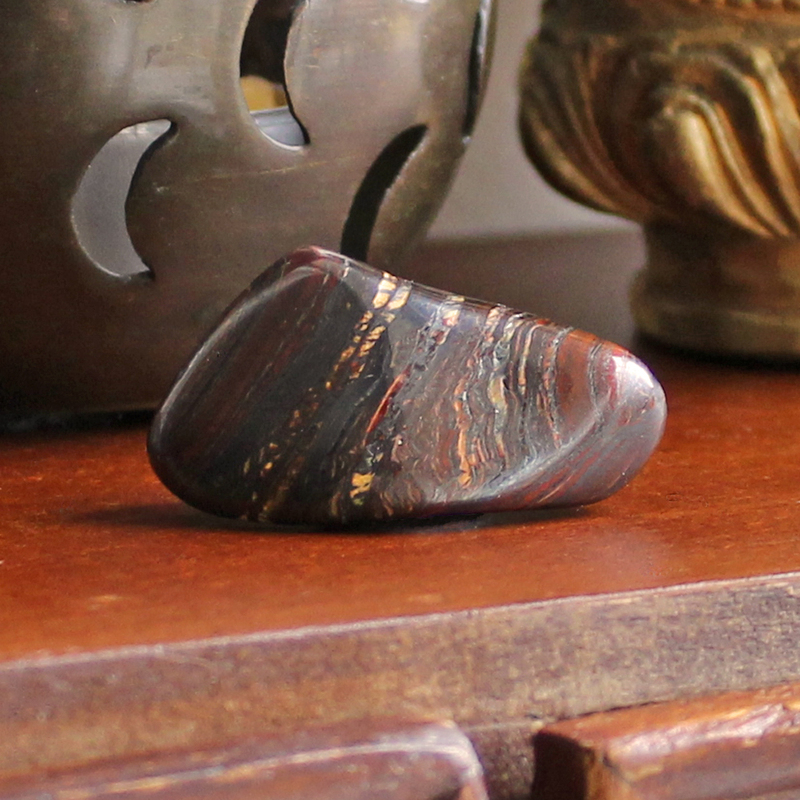 A combination of grounding Tiger’s Eye, Jasper and Hematite. Helps both ground and energize you. These unique stones feel so grounding to touch and hold. They also balance your male and female energies. What crystal do you like to use for grounding? I would love to hear from you in the comments below (Please keep any questions you have on topic if you want a response). ← Is it an Aquamarine or an Aqua Aura Crystal? 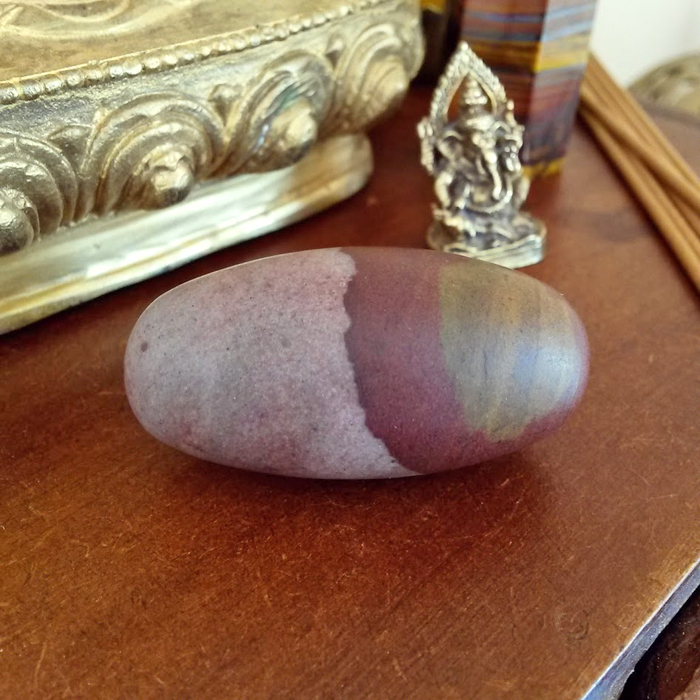 My favourite grounding stones are my Boji Stones. Or, if they are not to hand, and I’m at work, I like to use shungite spheres. My mom just told me what the last one on the list is supposed to represent… Yeesh! Anyway, this is really helpful. I have a hard time grounding myself. Thank you. Hi Paula, thank you so much for getting my books. People may argue that these are the same thing. I personally see grounding as more about your energy connection to the earth but centering as more about your mind and being present in the moment. They are closely related as centering is a side effect of good grounding. Hope that makes sense. Thank you for this write up. I have a query though. Is it okay to wear a grounding crystal ( hematite or smokey quartz) anklet? I am from India, and we hesitate to wear anything sacred/pure on the feet.